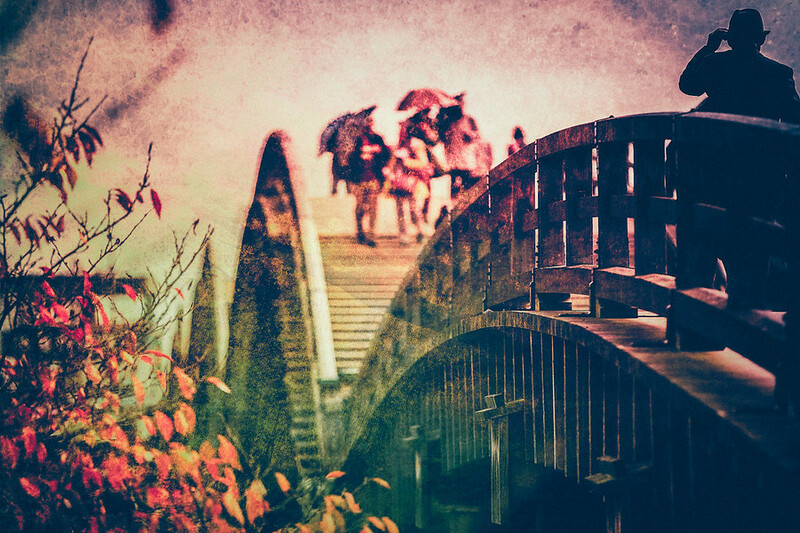 It was a Rainy Day at the Kintai-Kyo Bridge in Japan. In this original photo you could actually scale in and see the individual rain drops. I thought that was pretty cool. But the original was also very grey and flat from the rain and grey skies. I liked the feel of the photo and really wanted to create a vibe that just wasn't there. This photo was actually two different textures combined. First time I've done that in a photo before. Be sure to check out Sirius-sdz on Deviant Art. Great resource for textures. And check out the Retro Collection Lightroom Presets to help give you quick and unique looks to start with. I use them on almost every photo.